Whilst we were researching material for our Explore Your Archives Open Day on the 18 November, we were sent these lovely images, very kindly donated to us by David P. John from Scotland. I think that they are absolutely superb. The theme of our Open Day this year is Inspirational Archives: utilising archive material held in our collections as a point of inspiration for creating exciting new works – something new, something different. 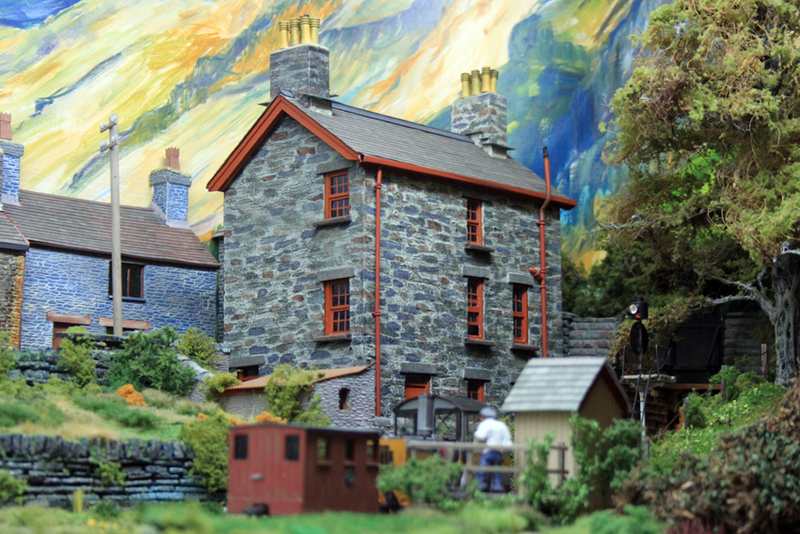 These models, inspired by local North Wales scenes, including the Festiniog railway, fit wonderfully with what we are trying (hoping) to achieve. I love the attention to detail, the painted back-drops, the inter-action of the different colours and textures; the little re-created and/or imagined, scenes, but also, how realistic they look. There is something about little worlds which, I think, has some sort of intrinsic human appeal – well, to me at least. Maybe it’s a sense of recall of childhood play, maybe it’s the sense of a tiny enclosed world held within our gaze… Whatever it is, come along on the 18th and be similarly, or differently, inspired! 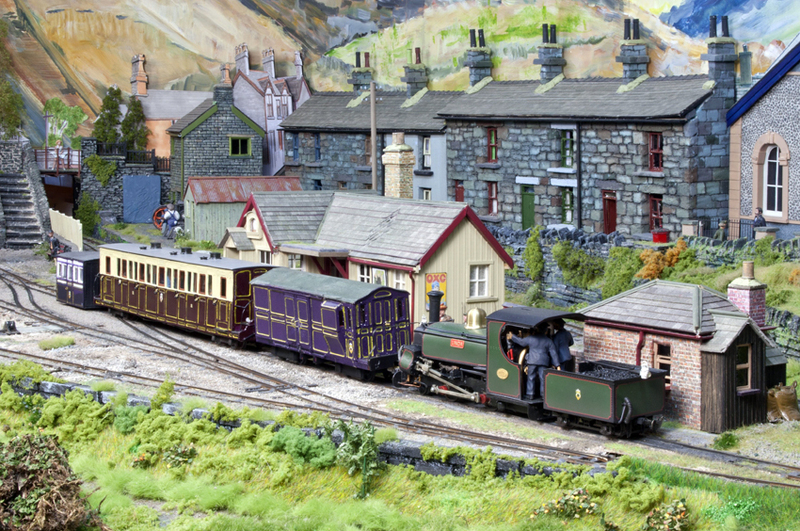 Rhyd, a fictitious branch of the Ffestiniog Railway.